← Forces of Creation !! 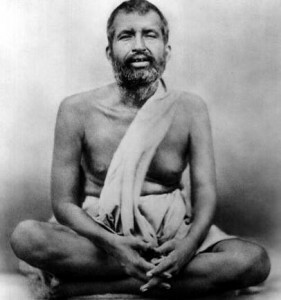 Swami Vijnanananda practised severe austerities fifteen hours a day for ten years while at the Brahmavadin Club. In 1910 he bought a house and a vacant plot across the road from it in the Muthiganj area of Allahabad. He turned the house into a Ramakrishna Monastery and built another house on the vacant plot for a charitable homeopathic dispensary. Swami Vijnanananda had no knowledge of medicine, nevertheless he started to go to the dispensary every morning. He gave homeopathic medicine to the patients without asking about their diseases or physical problems. When the female patients tried to tell him their physical problems, the swami said: “Don’t talk about your disease. Take the medicine and go home.” It was amazing: Every single drop of homeopathic medicine he gave cured each patient – not one had to return for a second dose. When this miraculous news spread, more patients began to appear every day. It became difficult to control the crowds. Then the swami brought in a doctor from Varanasi and was relieved of the responsibility. The doctor checked the stock of medicine and discovered that even the nitric acid bottles were empty. Frightened and amazed, he said to the swami, “Maharaj, you have cleared even the nitric acid!” Vijnanananda simply said: “I have given medicine in the name of the Master and the patients got well. There is no credit for me; I did as he asked me to do.”!